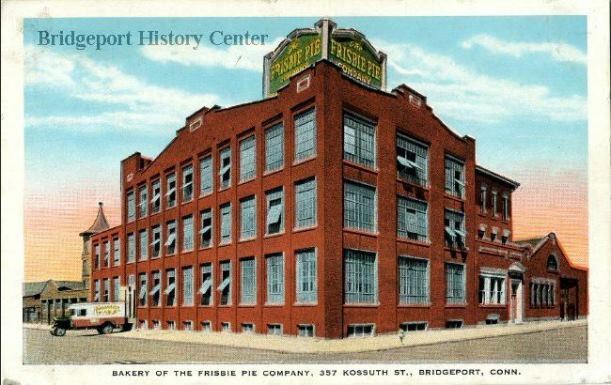 William Frisbie opened the Frisbie Pie Company in Bridgeport, Connecticut, in 1871. 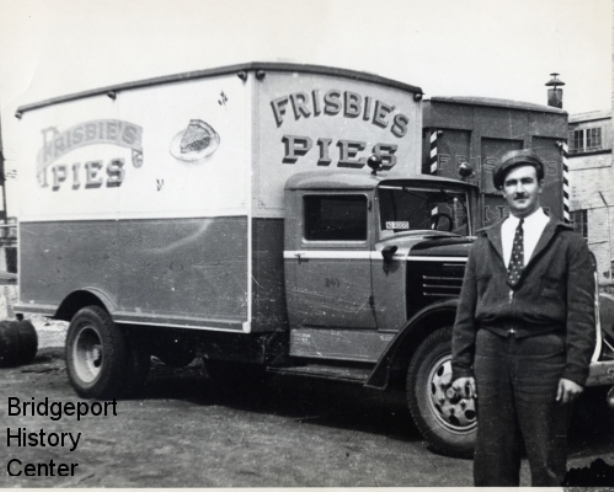 As much as locals enjoyed Frisbie’s delicious baked goods, one entertaining (but unproven) story claims people enjoyed some of the containers the goods came in just as much. Students attending nearby universities purportedly made a game of taking Frisbie’s used pie tins and throwing them through the air while shouting, “Frisbie”! Approximately 70 years later, a building inspector from Los Angeles, Walter Frederick Morrison, built a plastic disc modeled after the popcorn tin lids he played with as a child. He partnered with a man named Warren Franscioni and sold “Flying Saucers,” a plastic disc designed to fly higher and farther than the metal tin lids. After disappointing sales, the two men went their separate ways, but Morrison continued to work on refining his plastic disk design. Morrison raised the center of the disc to make it more aerodynamic, added the names of planets around the rim, and patented his creation as the “Pluto Platter.” He then showed his design to Arthur Melin and Rich Knerr who owned a company called Wham-O. Melin and Knerr agreed to produce the Pluto Platter. A decade later, a Wham-O designer named Ed Headrick added a series of raised ring’s on the Frisbee’s surface that provided for even greater stability and the popularity of the Frisbee soared. The Frisbee became Wham-O’s best-selling product and spawned dozens of imitators. Consumers purchased over 200 million Frisbees from Wham-O before the company sold the product rights to the Mattel Toy Manufacturers in 1994. “Bridgeport History Center.” Bridgeport Public Library, 2017. Link. Kaye, Marvin. The Story of Monopoly, Silly Putty, Bingo, Twister, Frisbee, Scrabble, Et. Cetera. New York, NY: Stein and Day, 1973. Fox, Margalit. “Fred Morrison, Creator of a Popular Flying Plate, Dies at 90 - Obituary.” The New York Times, February 13, 2010, sec. U.S. Link. “The Frisbee Files.” Yale Alumni Magazine, June 2007.